Dr. Gabriel Somarriba joined the faculty in 2009 as an adjunct professor on the St. Augustine campus. His area of specialization is pediatrics. 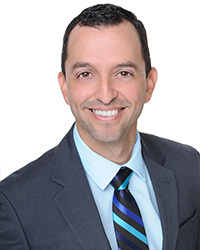 Dr. Somarriba has more than 10 years of clinical experience: He’s served as a physical therapist at the University of Miami Miller School of Medicine Department of Pediatrics and Holtz Children’s Hospital. He previously served as an assistant professor of clinical pediatrics at the University of Miami Miller School of Medicine. Dr. Somarriba serves as an advisor and consultant for Wayne State University and Miami-Dade County Parks and Open Spaces to develop community-based physical activity programs for children. He also serves on the University of Miami Miller School of Medicine’s Scholarly Oversight Committee in the pediatrics department. He is a licensed physical therapist and a member of the American Physical Therapy Association (APTA) Pediatric Section. Dr. Somarriba also serves as a journal reviewer for the International Journal of Pediatrics, Journal of Adolescent Health, Medicine and Therapeutics, Journal of HIV/AIDS-Research and Palliative Care, and Journal of Pediatric Health, Medicine and Therapeutics.